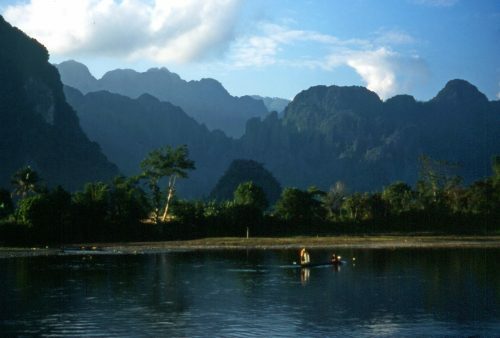 A 2-week escorted Laos family tour. 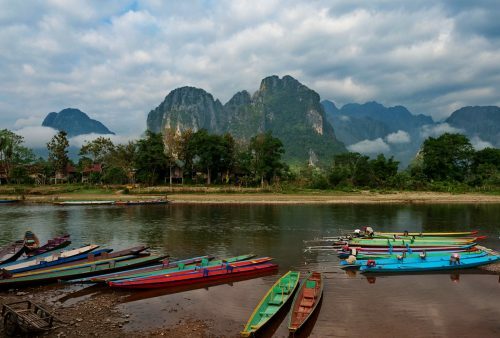 This tailored family adventure begins in the old capital, UNESCO listed Luang Prabang, before taking you overland to the spectacular karst landscapes of Vang Vieng, and the fascinating contemporary capital, Vientiane, situated on the banks of the Mekong. 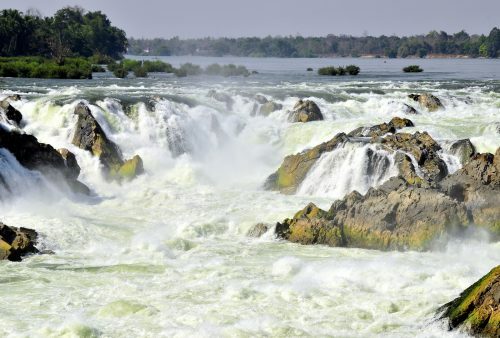 From here we’ll travel to the lesser-known, far south of the country and a jungle experience on the Boloven Plateau before finishing in the picturesque 4,000 Islands region and Khone Phapaeng Falls, close to the Cambodian border. Aiming at the entire family, we offer a varied range of soft adventure activities suitable for children aged 8 to 80 years. 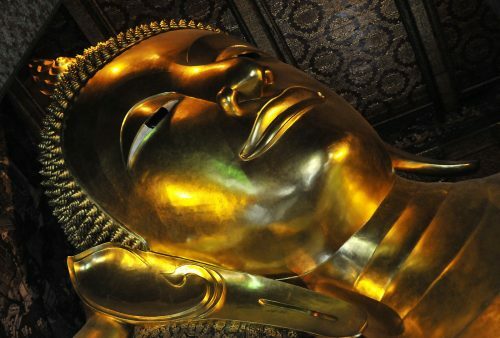 These include, cycling among the ancient temples and local markets of picturesque Luang Prabang, hiking through lush forests and bathing in waterfalls, exploring the limestone caves of Vang Vieng, a visit to the ancient ruined city and World Heritage site of Wat Phu, trying a zip-line through jungle treetops on the lush Boloven Plateau and kayaking down the Mekong itself to see some of the River’s rare freshwater dolphins. These are just some of the varied and exciting activities on offer. This is a private, family tour and therefore can be organised at a time to suit your family rather than with fixed departures dates. 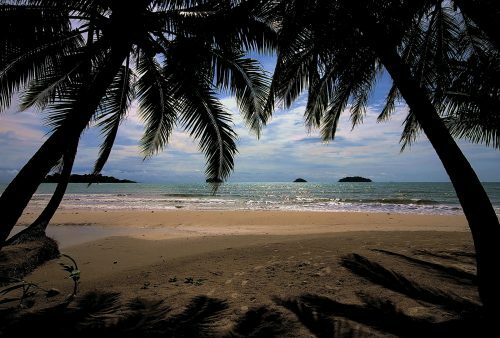 as well as meaning that the itinerary and activities are completely flexible. Prices are based on a minimum of 4 persons sharing two double or twin rooms while flights are extra and vary according to the season. Please don’t hesitate to contact us with any queries, requests or tweaks you may have. 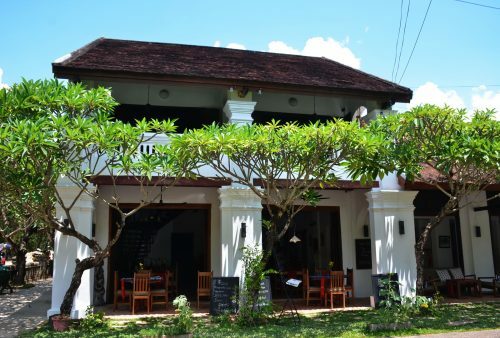 Arrival in Luang Prabang and check in to our downtown hotel, in a converted French-period villa. 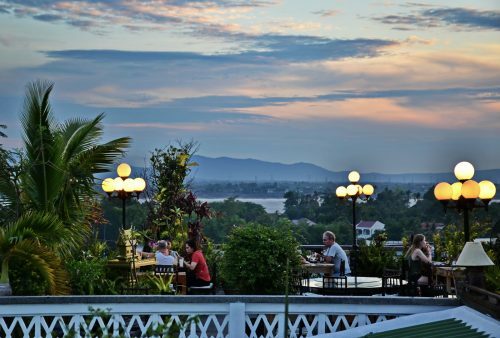 Depending upon arrival time, at leisure to explore the town or find a strategically placed riverside cafe before a welcome, local-style dinner introduces you to the little-known but tasty, Lao cuisine. Morning cycling tour of the quiet lanes, bustling markets, and ancient temples of this picturesque and laid back UNESCO World Heritage City. 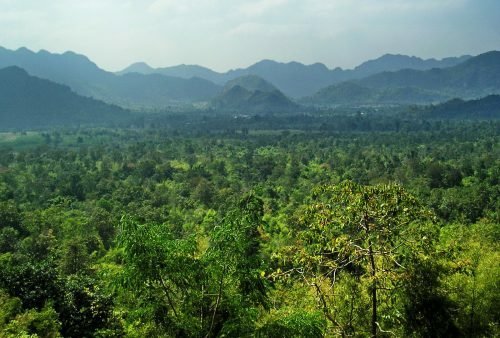 In the afternoon we’ll venture to some nearby villages to check out ancient blacksmith and weaving techniques, before returning to town and climbing Phu Si Hill for a spectacular sunset. A fascinating day, beginning with a visit to the awesome Big Brother Mouse organisation – a local initiative that aims to promote literacy and book reading amongst local kids. 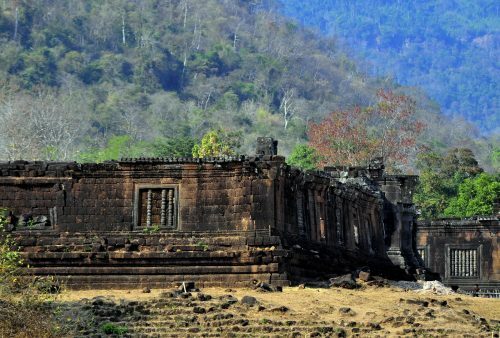 (Up until recently, very few books were published in the Lao language and many local people have never seen a book!). Afternoon visits include a village primary school where you’ll have the chance to meet students and teachers, distribute some books and even help out with an English lesson if you wish. 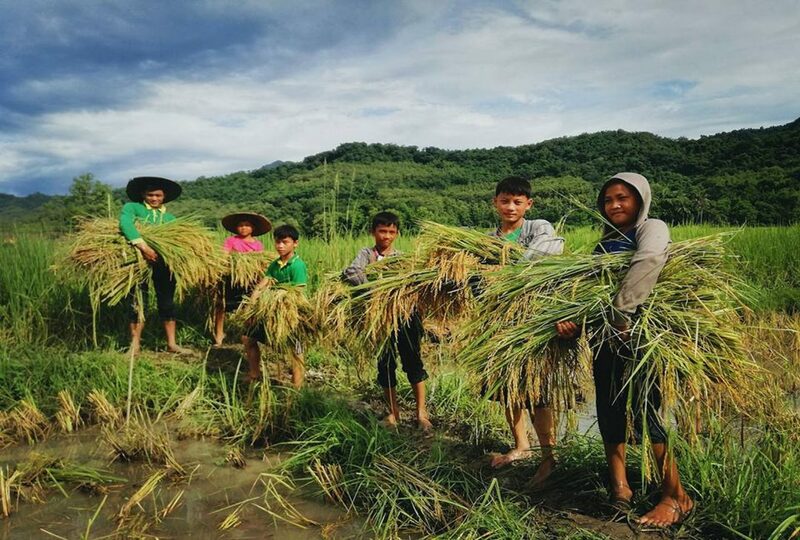 Into the surrounding hills to visit the stunning Kuang Si Falls, with stops on the way at the commendable Free the Bears rescue centre, as well as the fascinating Living Land Organic Farm to learn all about the country’s staple food – rice! 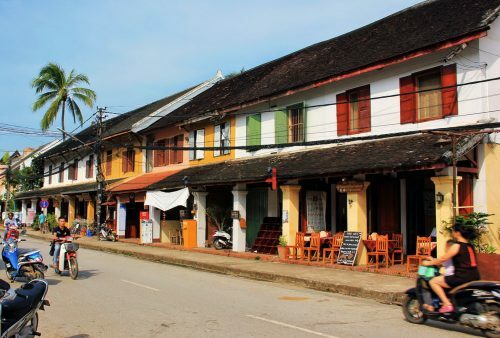 Drive through the spectacular mountain scenery of the Central Highlands with stops en-route at villages and viewpoints as well as a colourful local market. Mid-afternoon arrival in equally spectacular Vang Vieng Town with time at leisure to explore the area. 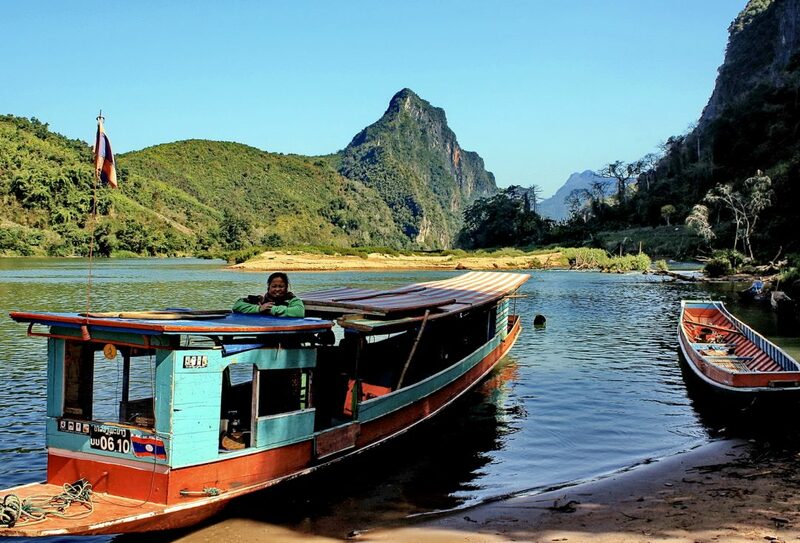 Discover the region and its dramatic limestone karst scenery by boat and bicycle, exploring caves and including a leisurely trip along the picturesque Song River. 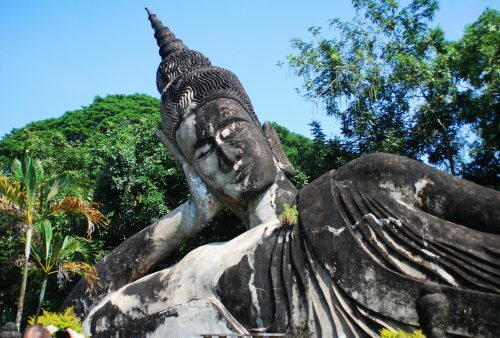 Morning drive south to the present day capital Vientiane via the picturesque Nam Ngum Lake and a stop at a fishing village, for a visit to the highly unusual Buddha Park. Evening tour of the city’s lively night food market to sample some of the local specialities. 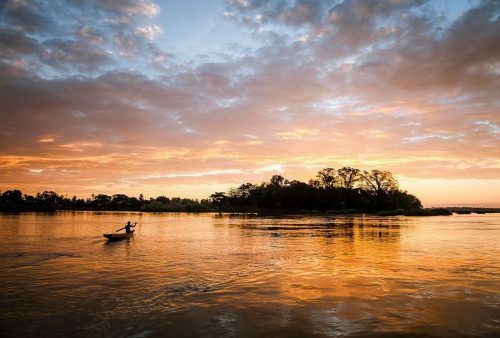 Morning flight to Pakse, a charming old river port in the far south of Laos. 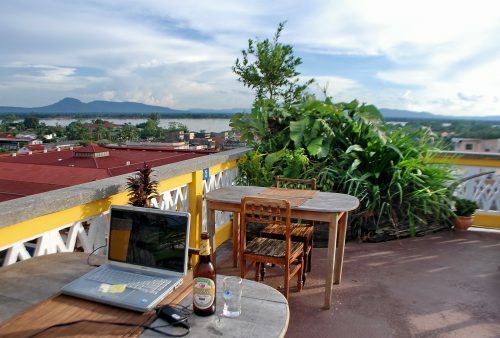 Afternoon at leisure to relax in the hotel’s well-situated rooftop cafe, sample a traditional herbal spa or perhaps explore the old town’s temples and market. Off to the nearby scenic Boloven Plateau for a 2-day rainforest experience at the Treetops Jungle Hotel. 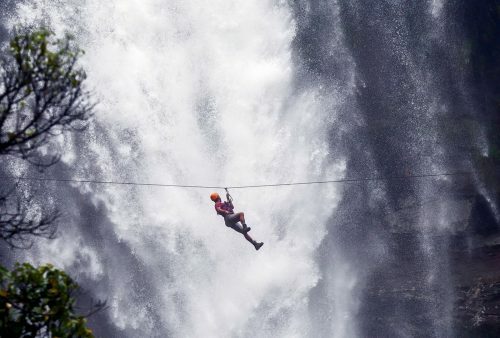 Exciting activities will include zip-line across a majestic waterfall, canopy walkway, jungle nature hikes, a ‘via ferrata’ cliff walk, evening camp barbecue and overnight in bamboo tree houses. After our second day of jungle activities, we’ll head back in the late afternoon to Pakse Town for our night’s accommodation. 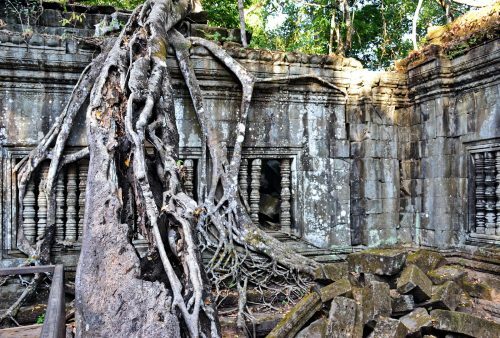 Down the Mekong to Champassak for a guided tour of the riverbank UNESCO site and ancient pre-Angkor ruined city of Wat Phu, spectacularly perched on a hillside overlooking the Mekong Valley. 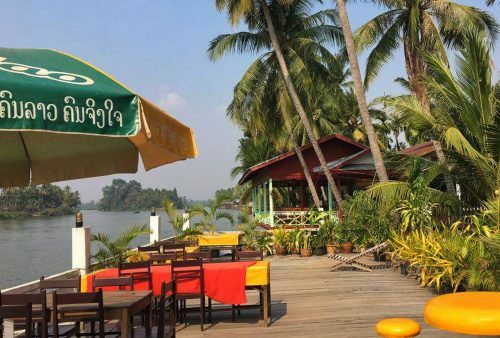 Afternoon transfer to the picturesque 4,000 Islands and our accommodation in wooden riverside chalets on Don Khone Island. Time to wander around the village or check out sunset from the old French railway bridge. Off down the Mekong again – this time by kayak – to try and spot some of the rare Irrawaddy dolphins still found in this Lao, Cambodian border region. 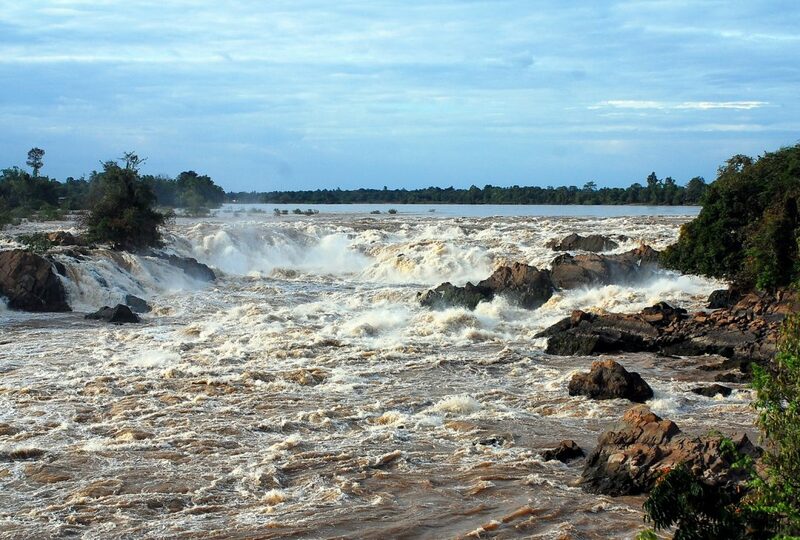 On our return, we’ll stop at the incredible Khone Phapaeng Falls. 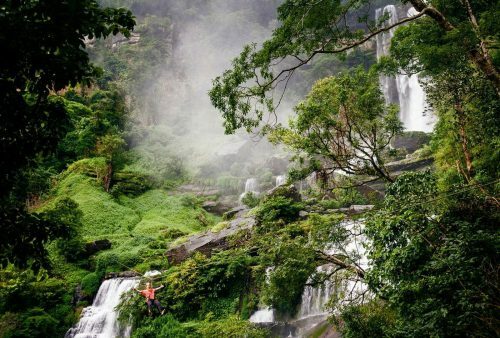 Despite being Asia’s (and indeed one of the world’s) largest waterfalls these remote falls remain little-known. 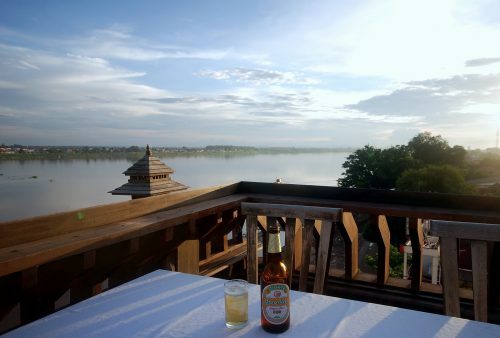 Morning at leisure and afternoon drive to Pakse where the tour ends. Departure point is Pakse International Airport although a transfer to nearby Ubon Ratchathani Airport in Thailand is also available if connections are more convenient. 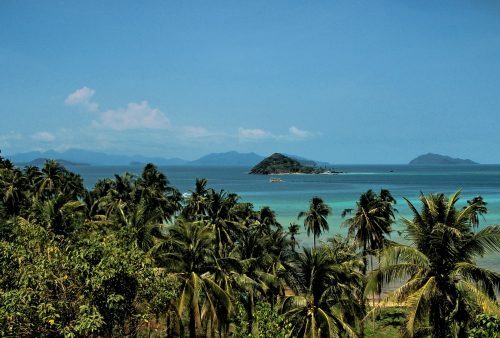 Extra nights in Luang Prabang prior to or Bangkok after your tour as well as a variety of beach and island extensions are available on request. Visit a local village and village schoolhouse with a chance to meet teachers and students and even participate in the class English lessons.